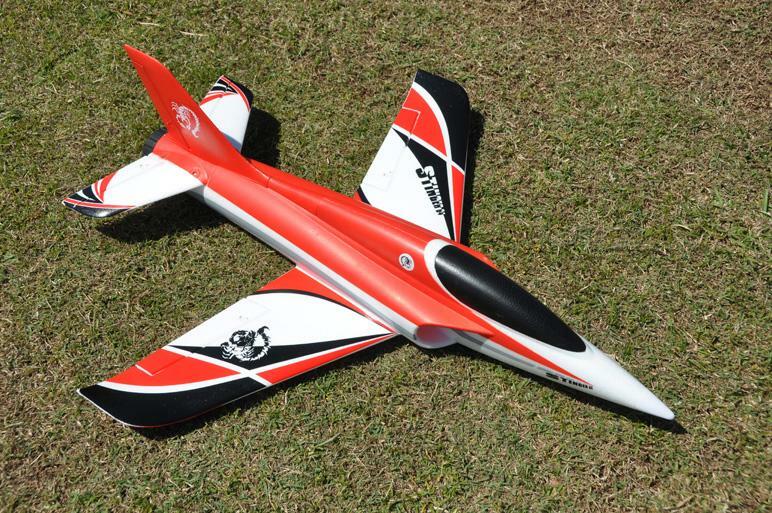 The Freewing Stinger 64 certainly has everything a EDF Jet Pilot could possibly want, a great looking and flying EPO Sports jet that is a great size to throw in the car and go and have fun at your local flying field. The plane is constructed from Injection Moulded EPO and all paint and decals are pre-applied in the factory to the highest quality. Build time is only 15 minutes due to the fact that all servos, motor, fan unit and ESC is pre-installed in the factory before shipping. Infact the complete build only requires screws. Making this not only one of the fastest planes you will fly in its class but also the fastest build time of any kit. The Stinger looks great and manages to fly even better than it looks! There is one servo per elevator and of course the Stinger has an effective rudder as all Sport Jets should, Knife Edge and 4 Point Rolls are completed with ease. all of the servos are mounted at the rear with short control rods, the end result is precision. This jet is so capable, it is fast for a 3s/64mm class Jet but has a large flight envelope and is quite happy flying at low speed as seen in the video below. Predictable is what we would call this jet!, it is perfect for any new jet pilot but wind it up and it becomes a brilliant aerobatic model which is where the Stinger really excels of any other jet in it's class. Take your hobby to new levels, get addicted today with the Stinger 64mm from Freewing and Xtreme Hobby. Sporty and aggressive looking (Designed for the Ultimate flying experience). Complete Kit, 95% Ready to Fly(15 minutes to build this kit ready for flight). Review : Easily one of the nicest beginner EDFs around. I have the red one, a mate has the blue one and we both fly them all the time. No bad tendencies at all. It even handles a bit of wind with no issues. We love it and it will remain a favorite for years to come. If you want to get into EDFs, then this is a great starting plane. Can't fault it!